Located just north of the Fairmont Royal Pavilion and south of the Lone Star Restaurant, Ju Ju’s is directly off the main road, on the beach. There is no sign. Look for the lime green house and the sign that says “Dive Barbados” and follow the pathway to the left of the green house down to the beach. 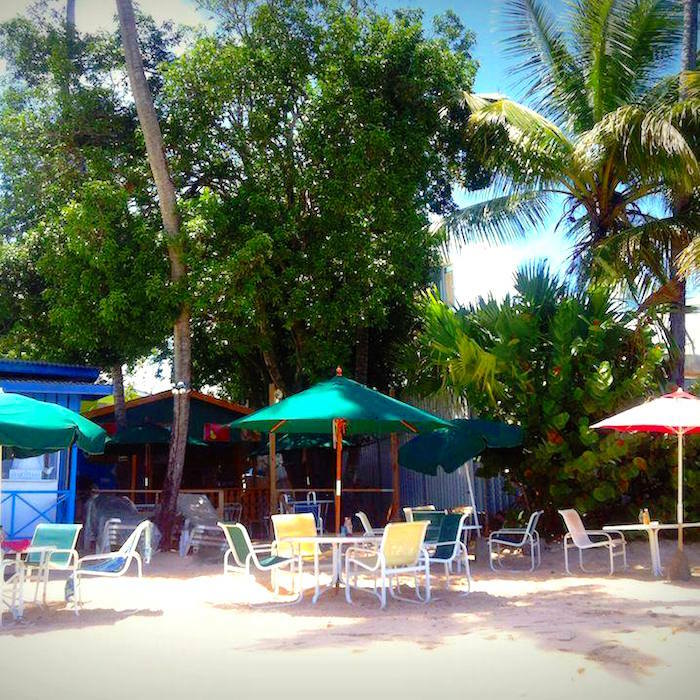 Ju Ju’s is a very casual beach bar serving local food and ice cold beverages. Here you can rent umbrellas and loungers and spend the entire day relaxing and soaking up the sun’s rays. For the more adventurous, there is an array of water sports on offer, which you can hire from the guys on the beach. A word of advice, Ju Ju’s is a local favourite as well as a hit with the tourists so it can get very busy during lunch times and at sundown, when every seat is packed for the breathtaking sunsets.